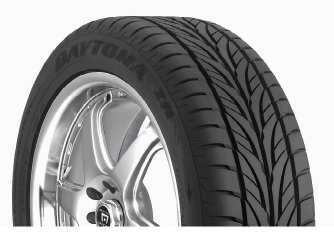 T-Speed rating means the Daytona Metric Radial was built for endurance at higher speeds. 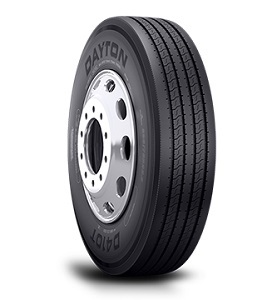 Sleek tread and sidewall design complement any small automobile. 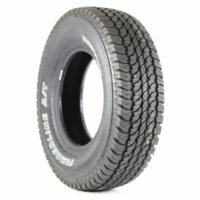 Drive Axle Radial Medium Duty Truck tire Designed for High-Scrub Applications in Long- and Regional-Haul and P&D Service. 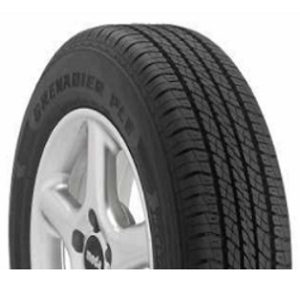 The Grenadier PLE has a large footprint design that helps provide traction and handling. 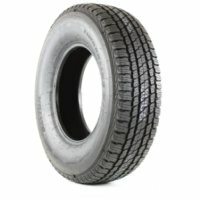 The silica-based compound further enhances wet performance. 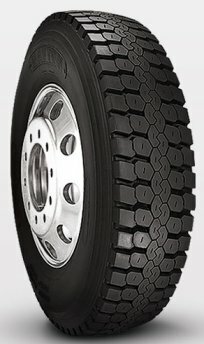 With a deluxe serrated band, the Grenadier PLE complements many of today's premium touring vehicles. 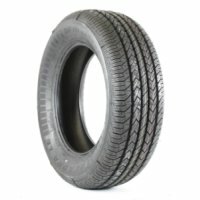 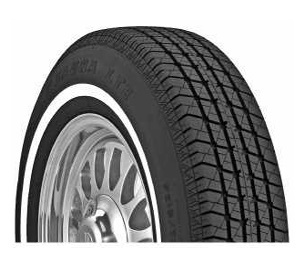 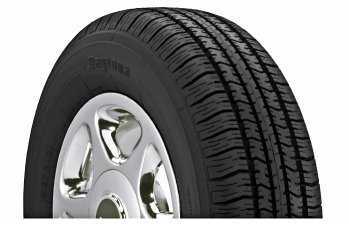 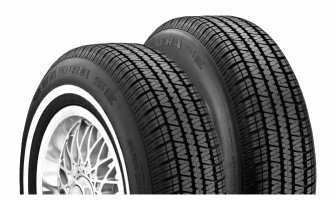 All-Season Passenger Car tire. 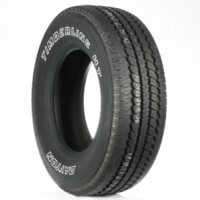 Three popular Raised White Letter sizes fit many of today's Pickups and SUVs. 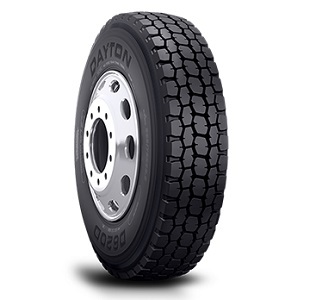 A combination of high style and superior construction. 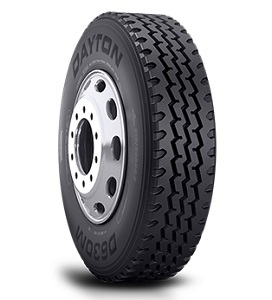 The Dayton Quadra SE affords improved performance in rain, mud or snow. 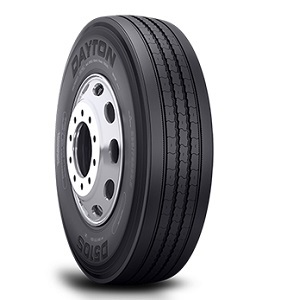 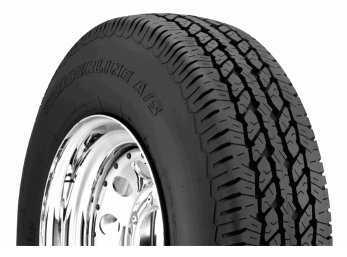 TBR Medium Duty Truck tire Designed for Tandem- and Single-Axle Trailer Applications in Long- and Regional-Haul and P&D Service. 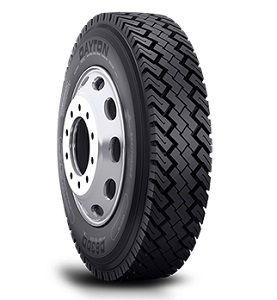 All-Position Radial designed for Steer Applications in Regional-Haul and P&D Service. All-position radial designed for steer applications in long- and regional-haul service. 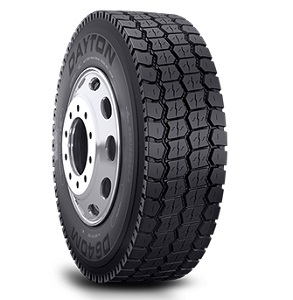 The all-season Dayton Timberline A/S is the perfect tire for work or play. 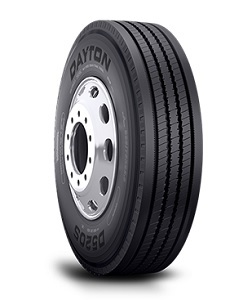 Continuous shoulders and twin-slotted intermediate ribs enhance traction and help resist irregular wear. 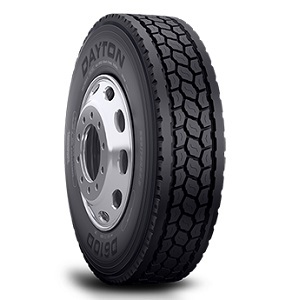 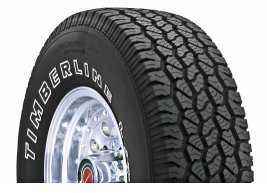 The Dayton Timberline L/T with all-terrain tread design provides good traction over a wide variety of surfaces. 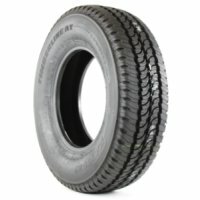 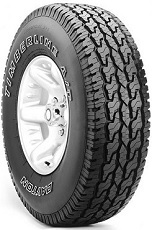 Mud-Terrain Passenger Light Truck tire. 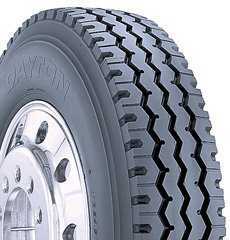 Pinned for Studs to Provide Extra Grip in Winter Conditions.